Got your attention? Thought so. Burner Phil has kindly given us permission to share his wise advice, which is perhaps even more relevant for old timers than Virgins. And it is just as relevant to alcohol as it is to narcotics. 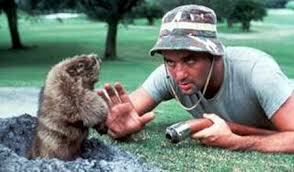 Leave it to Caddyshack to encapsulate a great opening sentiment to this discussion :). Whether one should or shouldn’t take drugs on the playa, and if you do what to take and when, is a tough issue to navigate. It’s even harder to try to tell others what to do, so I’m hesitant to try. With that said, I’ve learned a lot during my last ten years on the playa, and I feel I would be remise to not share that information. So take this for what you will, and do whatever makes you happy :). Drugs at Burning Man is a classic dichotomy. On the one hand, it’s possibly the single best place in the world to take mind altering drugs. On the other hand, it’s possibly the best place to avoid drugs altogether. The people and the setting are both so incredible that it makes for quite a backdrop to any drug experience. The lights, the music, the costumes… Popping a pill can take it up a notch, and that can be quite something. But is it worth the damage to your body and mind just to make an already amazing experience a little more extreme? And does it really make it any better? A one hour rambling conversation with a couple you just met from Brazil out for their first burn can seem incredible and deep and like you just made new friends for life, and oh my God I love you guys! Or was it just all the MDMA you were on? That DJ set could blow your mind as you dance for hours on end like a space monkey on speed. But was it really that sick a set, or was it all the pills? Did you really uncover the meaning of life written in the wrinkles of your palm, or was that acid really strong? I don’t want to be a buzzkill, but I think it is important to be mindful of what you are truly gaining. The experiences out there are so wonderful and so intense all on their own, that you don’t really need to try to make them any more so. That’s usually what people do to make the mundane and boring seem more exciting. Too many drugs can take you out of the game, and if anything you miss out on the full experience of what Burning Man can be when you are totally present as yourself. Now I do have to say that many of us have had some life altering realizations out there while on one drug or another. Realizations about life, about relationships, about ourselves. I know I have, and drugs certainly have played a role in that. Far be it from me to suggest that others should forgo the possibility of those kinds of realizations. At the same time, for every moment like that, there were dozens more where the drugs took away from the experience or took us out of the game. You’re too edgy so take something to mellow it out…. You’re too tired to take something to amp yourself up…. The great rollercoaster of regulating your body’s energy level and your emotional state. Go too far and you’re not really present for what’s going on around you anymore, you’re just hanging on and trying to make it through. At the end of the day, the very fundamental nature of Burning Man holds within it many of the compelling truths that we seek, and ultimately you will find those truths regardless of what you do or don’t take. We’re all adults, and we can make up our own minds. Do what makes you happy :). If nothing more, just try to find some balance. Many people blow it out so hard and fast that by the end of the week they’re just walking zombies, and it takes another month at home to fully recover. You’ll notice that as the nights get later, the energy shifts to a more frenetic and edgy vibe, until sunrise comes to smooth things over again. You’ll also notice that by the end of the week many people stop making a lot of sense, can’t look you in the eye, and have trouble holding normal conversations. A little moderation can go a long way to not becoming a playa zombie! If you are going to dive into the goodies, try to make it special, and do it for a reason. Set an intention, know what you’re taking and why, and seek to gain something of meaning from the experience. Drugs have a rich and wonderful history throughout human culture – but it is one of ceremony and expanding consciousness. They were used as tools to break into other levels of understanding, and glimpse things that we didn’t otherwise always see or understand. Talk to any long time veteran burner, and they will tell you that as the years go by they take less and less drugs on the playa. Many of us have cut them out altogether. Granted, we all went nuts back in the day, and that can be an important part of the experience for some. Choose what it best for you. These days I find that when I am clear headed and fully present, the experience is much richer and more powerful. I feel like I can make things happen just by willing them into existence, and that I am able to feed off the incredibly energy of the playa. It’s also really nice to not have to deal with the host of side effects that drugs inevitably bring, and to return home from a week at Burning Man feeling refreshed, revitalized, and much more energetic than when you left :). So that’s my spiel, offered up to you all with love and understanding. This was such an incredible find tonight. Written with real experience and a care for the issue, which of course is a spectrum of experience and consequence. One of the best pieces of advice I’ve read on here, especially because of the loving tone of voice the author used. Was it that great or was it just the pills? –Of course, that’s why I took them. If you can believe it, I couldn’t find drugs when I went to Burning Man that time. But it was so weird there that I really didn’t miss them. No other ravey-sorta event would be like that for me. I’d sure like to try it sometime though.